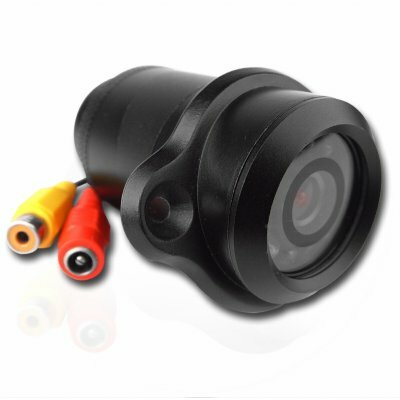 Successfully Added Wired 1/3 Color CCD IR Camera - Car + Home Use -NTSC to your Shopping Cart. Car rearview PAL camera for use a rear view camera for cars or as a home security camera with 8 LED IR lights for up to 5 meters of night time vision. This IR camera features RCA connections, great resolution and horizontal resolution for clear images, and a very wide angular field of view of 60 degrees. Installation is a very simple affair in a vehicle or the home. This car and home IR camera is available at a low wholesale price, along with no MOQ and Chinavasion's free one year warranty.